Lucas James, fitness and Scottsdale nutritionist expert, has helped countess people through his customized healthy diet meal plans. As one the best Scottsdale nutrition experts, James along with his team offers you fully personalized nutritional meal plans that are designed to work specifically for you, your goals, your lifestyle, and your eating preferences. People sometimes feel the surge of ‘motivation’ that gets them to abandon large meals, maybe head to the gym or pick up the tennis racket. We’ve all been there. But the problem is that it doesn’t work. One of the things that keep people from achieving their nutritional goals is that they fail to see things through. They rush into a wild meal plan, fitness routine or some other fast weight loss “solution” that put stresses their bodies. You may even lose a couple of pounds with a crash-diet or starvation. But the end result is that you a burn out and can’t finish what you started. That’s because there is nothing to finish! A meal plan is only truly effective if its’ results are permanent. And that can only happen if you can stick to a meal plan, or its variations, for the rest of your life. There is no short-term fix. What you need is a long-term nutritional solution that doesn’t affect your health as you lose/maintain your weight. That is the best weight loss diet. There must be a way then, other than the starving, pill-popping and gulping down weird stuff that look like horrendous kitchen accidents. As they are tailored for your needs, these weight loss plans take the idea of a long-term solution even further. They are not only inherently workable in the long-run, they are designed to work in the long-run – for you. More importantly, your plan is written by a professional nutritionist. This is crucial because qualification of the person creating your meal plan can mean the difference between you looking sexier in six months, and wondering why your love handles just won’t go away. Offering the best in weight loss, Lucas James Scottsdale nutritionist offers you a detailed yet easy-to-understand and follow meal plan. While you don’t need to get bogged down with the details, once you understand why you are doing what you are doing, it becomes easy for you to stay motivated. It also keeps you accountable as you know exactly what you are eating and why. For instance when you know how a particular food group you eat in the morning benefits your weight loss goals, you will not have an excuse to stray from the nutritional path. This is the secret to being winner at weight loss and our meal plan, which is a 30+page document created by a professional and experienced nutritionist, shares this secret with you. The insight, along with the clear instructions, that our meal plan offers inevitably results in you being more confident, healthy and soon in a much better shape. No two people have the exact same nutritional requirements. People are different, and we don’t just use this as a punch line. Instead of starting with food groups and recipes, we build on your unique profile. We already know the nutritional details of various food groups and their effectiveness through recipes and meal plans. What we don’t know when starting out are your needs. Armed with the above knowledge, we are then in the perfect position to create a customized and healthy diet meal plan for you. The key to the meal plan’ success is to focus on your health goals, and consuming the right foods at the right time. By emphasizing on attainable goals and combining them with nutrition & exercise, we are able to deliver the best program based on nutrition. You have to make eating healthy a priority. Plan your week out for meals and commit to the meal plan. Results aren’t guaranteed, they’re earned. Age, Height, Weight, BMI, RMR, Body Fat, Body Measurements, Resting Heart Rate, and more! The combination of these spell out your new and improved eating routine, and soon your eating habits. Through the extensive plan you can clearly see that how and why you will benefit from following it. From stating dietary goals and suggestions to detailing healthy food sources, the nutrition plan provides you the most relevant information for achieving your weight loss goals. While there are about three main meals during the day complemented by 2 or 3 daily snacks, the exact number can be adjusted based on your specific goals. As you should expect from the best Scottsdale nutrition expert, we make the plan very user-friendly. 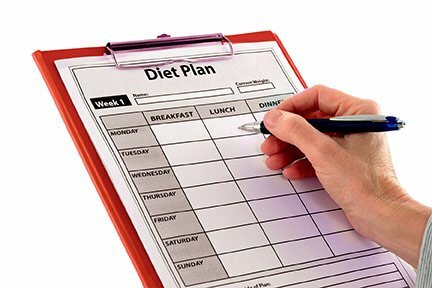 A simple glance at your plan can help you quickly make up your mind about what you want to eat for your next meal or snack. So if you are the sort of person who simply likes to follow a detailed yet uncomplicated guide, our healthy diet meal plan is that plan. Conversely, if you prefer a general guide where you choose your own meals, you can do that too. In any case, we remove guessing from the game. You know what you want at all times and get it. We work closely with you, discussing your needs, preferences and the opportunities you have for smart and significant improvement. A one-time consultation to discuss your individualized health, fitness, and nutrition needs. Lucas will answer any questions you may have while setting you up with what you need to be headed in the direction toward a healthier life. Comprehensive list of over 100 healthy foods: Proteins, Carbs, Fats, Condiments, Snacks, Deserts, Dressings, Drinks and more! We will research up to five restaurants of your choice and select the best appetizers and entree’s for you based on your personal nutrition a caloric goals. Head to your favorite grocery and get a one-on-one experience with Lucas James and learn how to navigate through the grocery to find the best foods for your lifestyle. Lucas will also teach you how to read nutrition labels and easy ways to save on your grocery bill. Have you ever wondered what vitamins you should be taking? 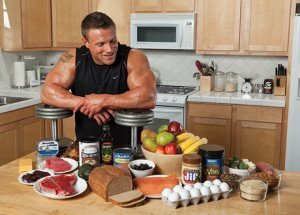 Or what are the best supplements to use to build muscle? Lucas will give you an extensive list of supplements and dosages to take on a daily basis to help better your health and overall well being.